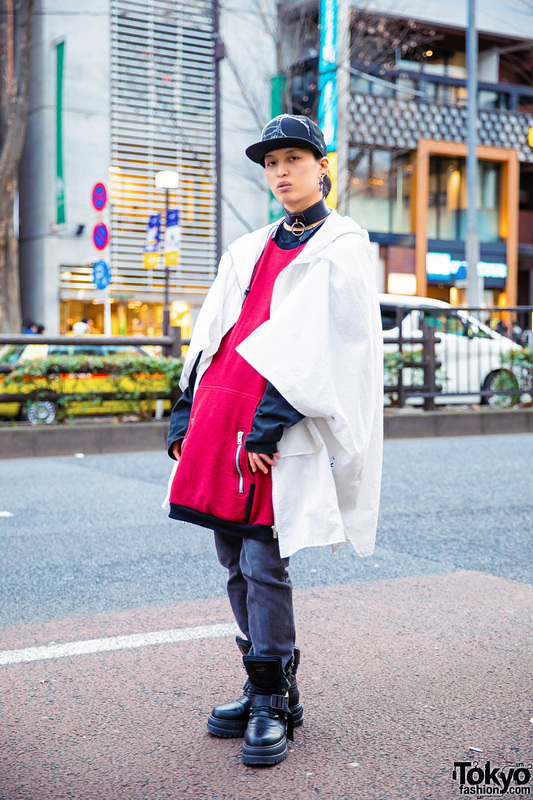 Popular YouTuber RinRin Doll in Harajuku sporting a red and black streetwear style while out and about. 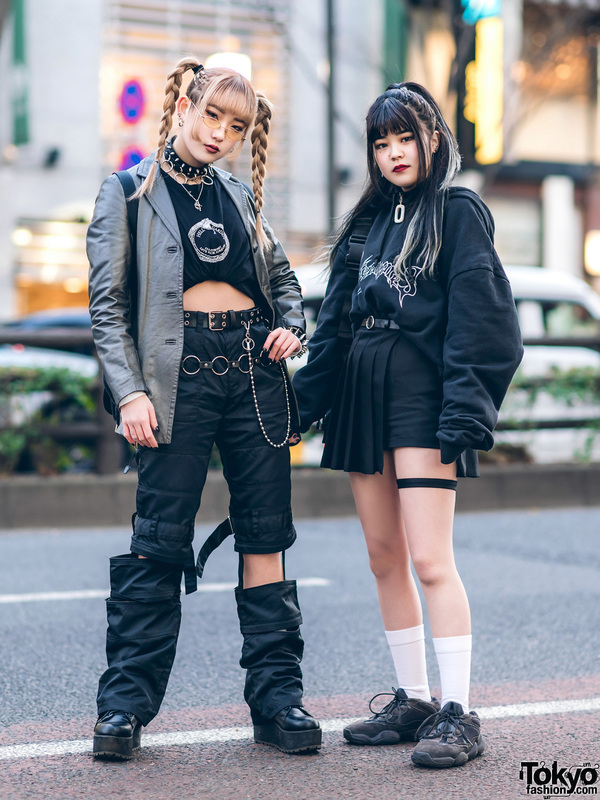 Harajuku girls sporting leather and snakeskin streetwear styles while out and about on the street. Harajuku girl with long hair sporting a casual edgy street style while out and about on the street one afternoon. 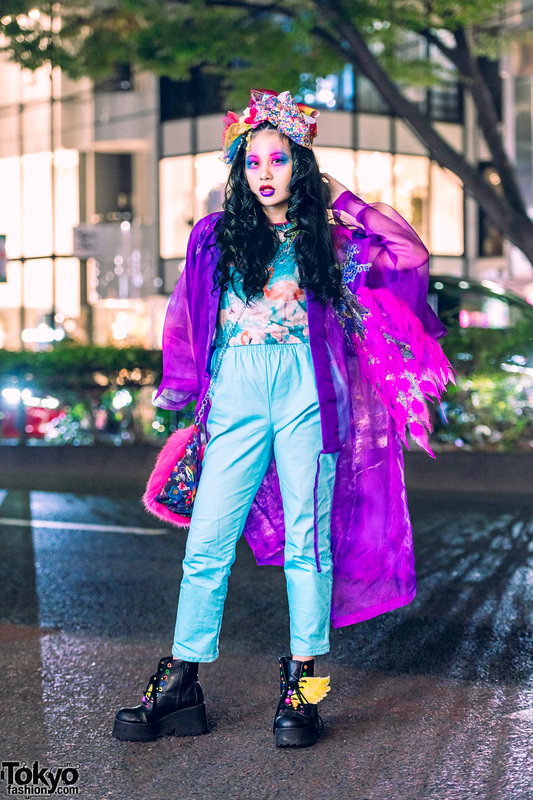 Harajuku girls wearing utility vests, colorful hairstyles, boots, and chokers. 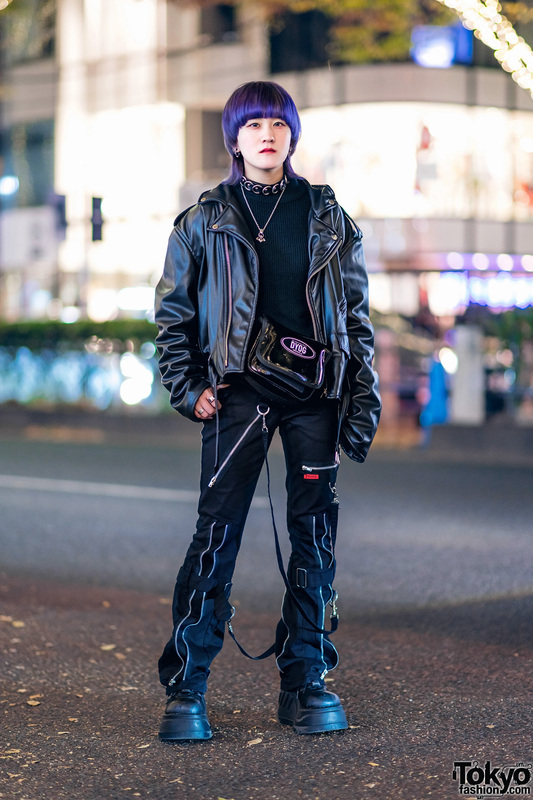 Japanese nurse sporting a dark and edgy streetwear look while out and about in Harajuku.